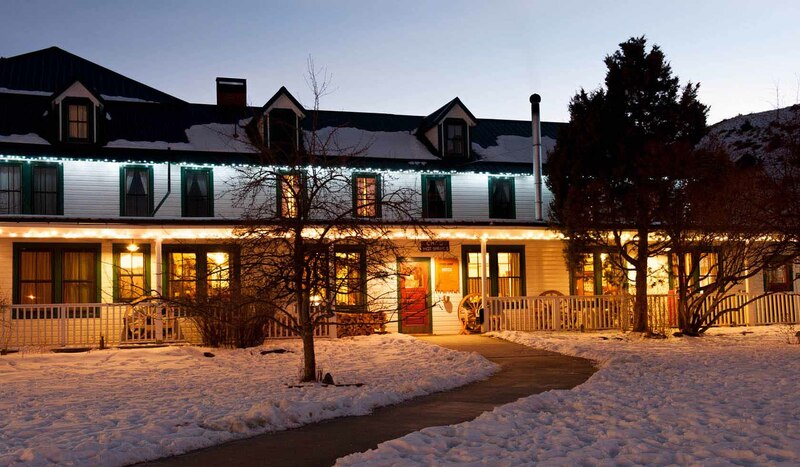 Chico Hot Springs Resort and Day Spa offers the quintessential Montana experience. Established in 1900 and currently on the National Historic Register, Chico is a year-round destination resort offering lodging, conventions, fine dining, saloon, gift shop, full day spa, natural hot springs pool, hiking, fishing, horseback riding, mountain biking, river rafting, dog sledding and cross country skiing. Additionally, with Yellowstone National Park seated in our backyard, trips to nearby Yellowstone National Park are a must! Facilities: Western comfort and hospitality abound at Chico. Accommodations range from our historic main lodge to private cabins, chalets and large log homes. The property also boasts 152 pristine acres, two restaurants, conference and convention center, two mineral hot pools, a unique gift shop, a Western saloon and a full service Day Spa... something for everyone. Dining: Chico has long been known for its landmark dining room. Creative continental cuisine is served in a comfortable atmosphere of casual elegance. The seafood is fresh, the steaks are large and the wine list is extensive. For more casual fare, the Poolside Grille serves salads, sandwiches, burgers, excellent ribs and pizza. The Saloon offers a limited menu featuring overwhelming portions of barbecue ribs and chicken and is known for its large selection of beer and 'Paradise Margaritas.' Conventions & Catering: With our scenic central Montana location, gorgeous mountain setting and many diverse activities. Chico is an ideal setting for any special gathering. Our sales and catering staff will work with you to coordinate a flawless function of any size or nature. We have hosted every event imaginable from clambakes on the front lawn, romantic weddings under elegant tents, to small private meetings. Our staff is flexible, detail oriented and focused on ensuring each group has a productive, fun and memorable stay. We have a variety of facilities on the property making Chico the perfect destination. Chico Day Spa: Welcome to the Chico Day Spa! We are a full service facility, offering a variety of services sure to suit every 'body.' We offer Montana's best therapeutic massage services from a thirty-minute Spot Massage to a one hundred-minute Mammoth Massage and everywhere in between. We specialize in Geothermal Therapy in which we feature Hot Basalt Stones and Cool Polished Marble Stones that relax the body and refresh the spirit. Our spa body treatments include Herbal Wraps, Salt Glows, Mud Wraps and Spirulina Wraps. These treatments relieve sore joints and muscles, help in detoxification of the system and leave you deeply relaxed and renewed. Customized packages include two or more of the treatments above and can be altered to suit any group or party. Call the Chico Day Spa at 406-333-4553 for more information! Reservations based on availability. Reservations: We are rapidly becoming a popular spot, which makes reservations for lodging a must. Weekends fill quickly so reservations are highly suggested to secure your choice of dates and accommodations.